Posted on February 28, 2018. Latest News, Not-For-Profit News. 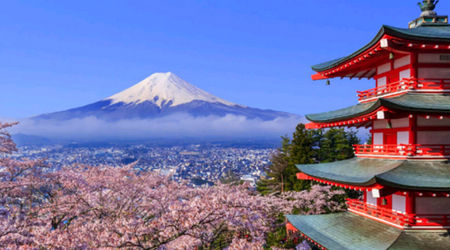 NGO Recruitment has opened an Asia Pacific office based in Tokyo, Japan, with senior NGO Recruitment consultant Damian Penston relocating from Sydney to head up the new office. Damian will spend time visiting and working with clients across the region. “As a major recruitment partner for the NGO sector in Asia Pacific, we’re already highly regarded in this market. Having Damian based on the ground in Tokyo will now further strengthen our service offering sourcing talented NFP professionals for a range of job roles and further build trust with both our local and international clients,” says Richard Green, Director, NGO Recruitment. Our expansion in the region coincides with international NGOs shifting their focus from implementation to partnership models and looking at ways to tap into the ever-expanding local donor base. In addition to executives and operational professionals, we will also be focused on meeting the increasing need for both local and international fundraising professionals. “All the indicators point towards a long-term demand for fundraising professionals in the Asia Pacific market and we are ready to help meet this demand,” says Damian. “Being on the ground, visiting clients and really understanding their work culture means we’re better positioned to represent them with our candidates,” he says. Having lived and worked in Japan and Australia, Damian has over ten years’ experience recruiting for international NGOs in Asia Pacific. Recent high-profile placements include the head of conservation and the global palm oil lead for the World Wildlife Fund (WWF) in Singapore. “When evaluating candidates, having an understanding of the various nuances of culture throughout the region makes a very important difference. I’m looking forward to working more closely with our existing NGO partners and also expanding our services across Asia Pacific,” he says.